A sudden death in Kirkcaldy is being treated as a tragic accident. Officers cordoned off flats at the entrance to Williamson Quay at the harbour yesterday evening. They confirmed a man died after suffering serious head injuries. Several police cars were parked in the immediate vicinity of the flats which sit next to St James Church car park at the junction of the Esplanade and the east end of the High Street. 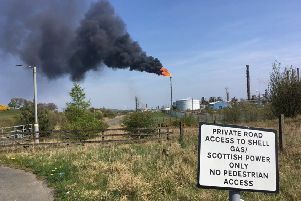 A spokesman for Police Scotland said: “Whilst the investigation is at an early stage, initial inquiries suggest it has been a tragic accident.